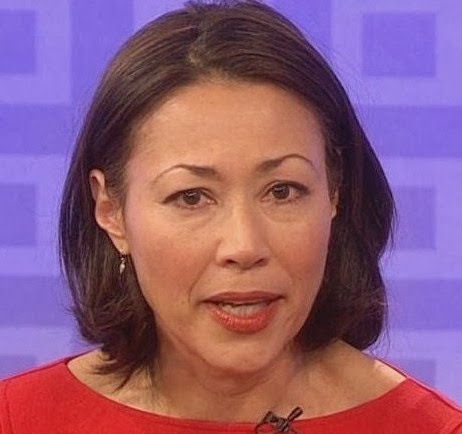 Its been two months since news anchor, Ann Curry (55) was essentially fired from her spot as lead anchor on the Today show. Replaced by the younger up and coming, Savannah Guthrie (40). Many people believe that Ann was replaced purely because of her age, and because NBC wanted to present a younger image to their audience. This strategy has proven to be costly, as the network has taken a hit in the ratings since Ann's departure. Ironically, just before receiving the news of her firing, Ann Curry spoke with Ladies Home Journal and was quoted as saying. I've decided not to buy into the idea that I want to stop aging. My wrinkles connect me to my family, to my ancestors and to my future. This is how my father looked when he was my age. Beautifully spoken and prophetic to say the least, considering the controversy that was later unveiled. Apparently a few wrinkles and grey hair aren't in the best interest of some television networks. *Note to self*. But something tells us that Ann Curry will have no trouble finding another position on a rival news network, where her adoring fans will certainly take their viewership. Your loss, NBC.